Merry, merry Friday! 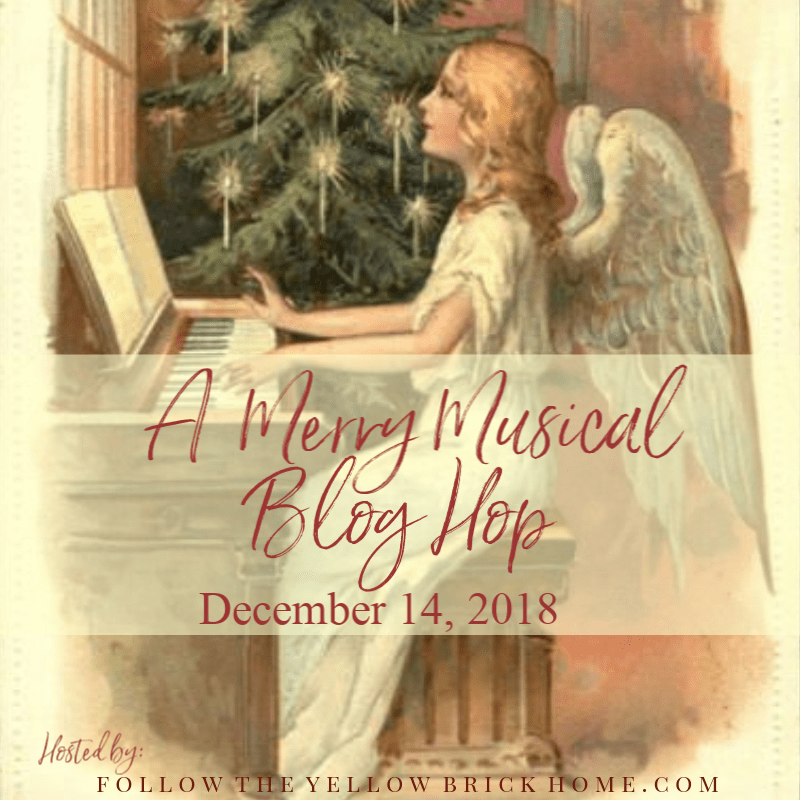 I am excited to join sixteen creative bloggers for A Merry Musical Blog Hop hosted by the lovely Amber of Follow The Yellow Brick Home. If you have just come from her beautiful blog, may I extend you a warm welcome! Be sure to scroll to the bottom to check out all of the Merry Musical posts! Music has shaped who I am and played an important role in my life beginning at an early age. I grew up in a home where my Daddy loved music, playing the sounds of the big bands and the crooners of the 40’s and 50’s often on our stereo! I began piano lessons when I was nine, and I never had to be encouraged to practice…it was an enjoyable time for me! I began taking voice lessons as a teenager and I still enjoy singing to this day! 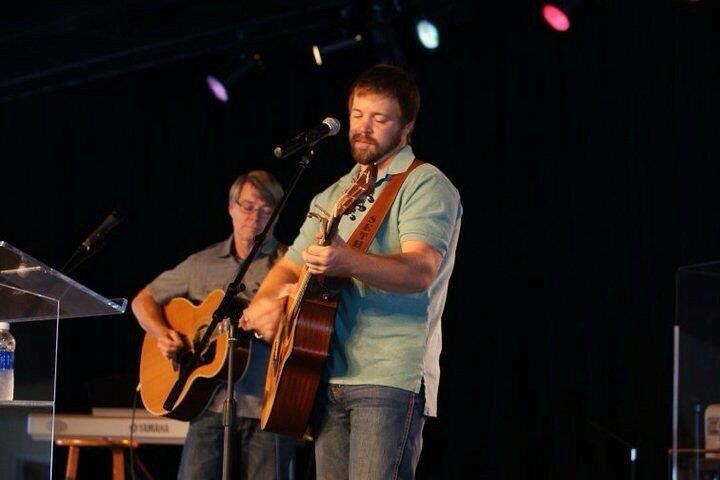 I have been a church musician for more years than I want to admit. Maybe you get the point by now…music runs deep in my veins! 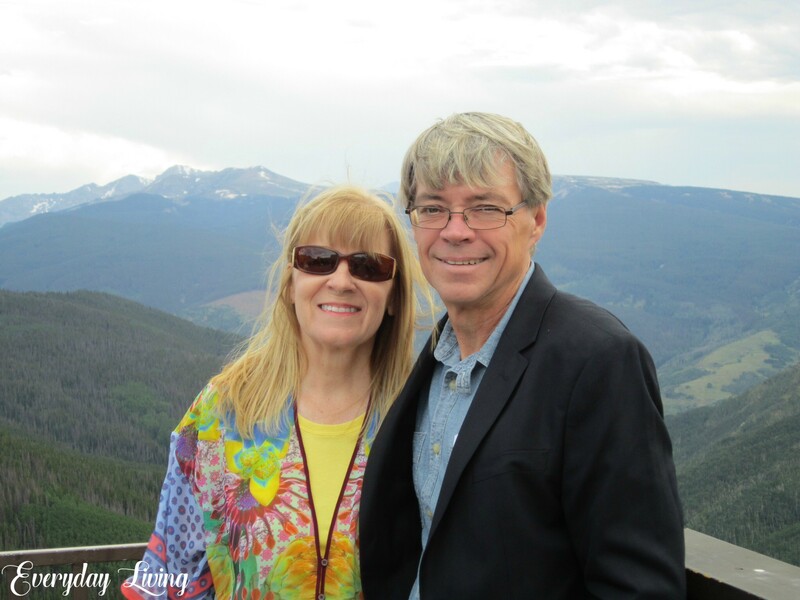 I even met my hubby through our mutual love of music He is a singer/songwriter and guitarist who has the sweet tenor voice of the late John Denver. We are passionate about music, it is truly the soundtrack of our lives! We always have music playing in our home, especially at Christmas time. As soon as you step out of your car, you are greeted with the sounds of the season through our outdoor speakers! 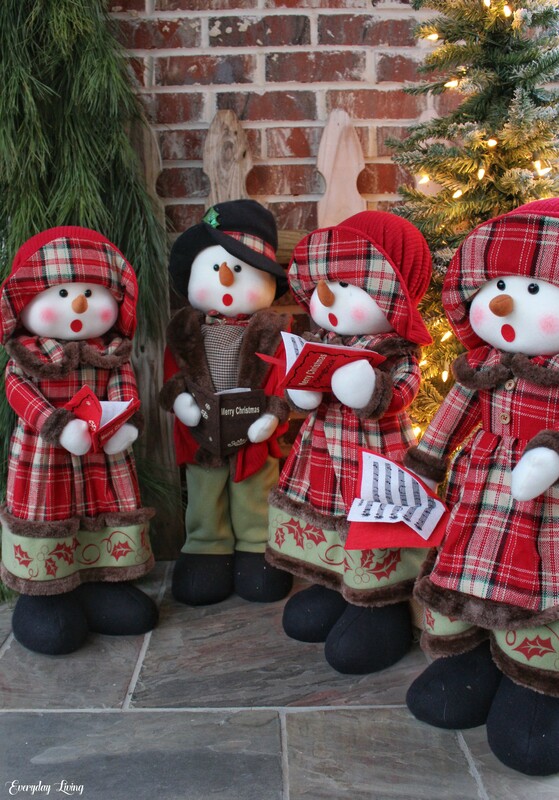 With this in mind, I felt it was appropriate to add the sweet carolers to our kitchen porch. I passed a country church a few years ago and I noticed the sign out front. I had to scan quickly but it read something like….“Parents’ lives are their children’s guidebook”. Somebody is watching and probably watching very closely! This fact can be overwhelming, challenging, and even scary! With Fathers Day here, I thought of another statement I heard recently. “It might be that a consistent, faithful, loving, godly, ever-present Dad is the most positive and crucial thing to exist in the life of a child. The absence of such a Dad could be one of the most detrimental”. There are certainly many other factors but on Fathers Day, this is worth consideration. Of course there are no guarantees. Good Dads have children that go off course. Children without any positive influence or even the presence of a Father at all do become godly men and women. That happens in lives that understand and accept God’s grace into their being and discover that there is a perfect, ever-present, loving Heavenly Father who is available to all. 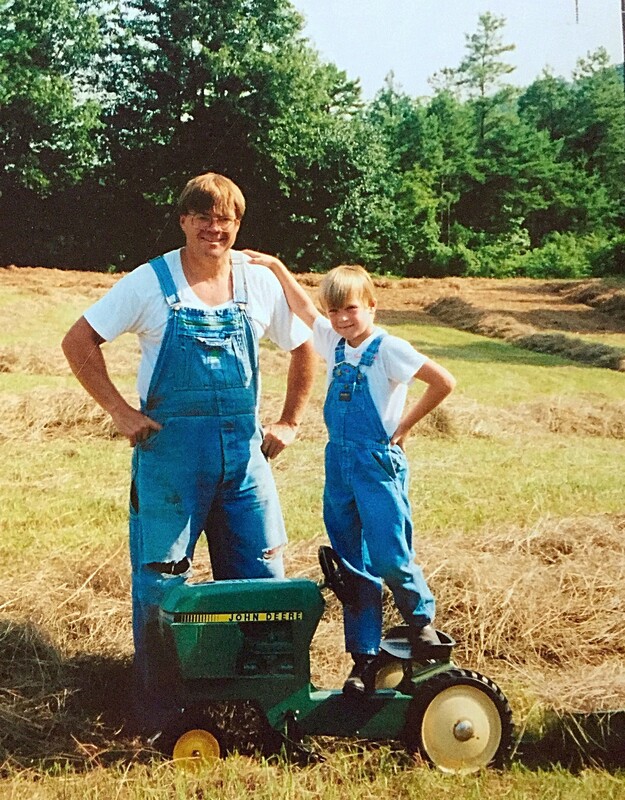 Your story may include a wonderful father who was always there for you. Your story may be quite the opposite. Maybe it’s even a horror story as it relates to an earthly father. Regardless of our earthly situation, we can all have a wonderful relationship with the Heavenly Father. On a hot dry September day in 1986 I was mowing the yard. As I rode by our bay window, I noticed our son Seth peering out the window. At about 9 months old, he had pulled himself up to see out. His face clearly indicated he wanted to be outside with me. Every time I passed he was still there, watching intently. These moments stirred my heart that day as a new Dad, and as a result I wrote a song titled “Just Like You”. I’d like to share part of it with you …. “I saw his face against the window pane, he was looking out at me. Too young to speak yet he seemed to say ‘You’re everything I’d like to be’ . He follows in my footsteps, trying all the things I do. Imitating me is his special way to say Dad I love you. I wanna be just like you, I wanna walk like you do. Help me to grow, let my life show that I belong to you. I wanna be just like you, I wanna talk like you do.